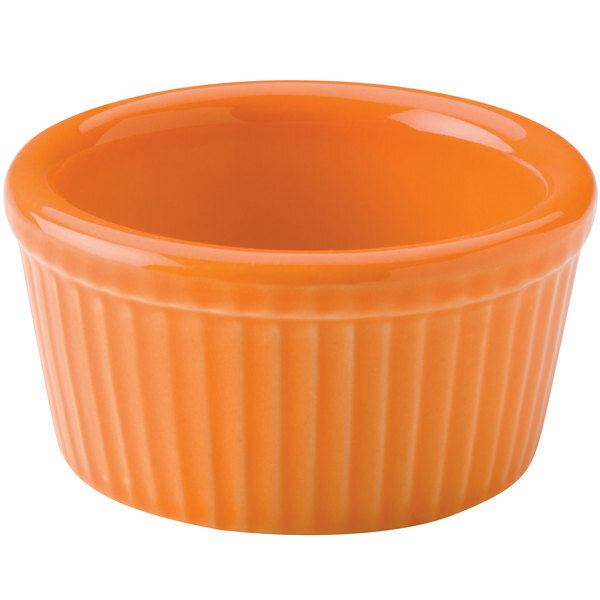 As part of the Hall China Colorations collection, this 38345325 tangerine 4 oz. fluted ramekin features an all-over, brilliant glaze, designed to coordinate with Colorations from The Homer Laughlin China Company. 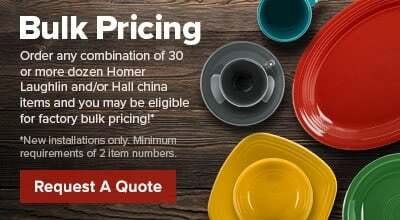 Made from stunning china and accented with a fluted design, this ramekin is ideal for serving sauces next to your most popular appetizers, desserts, and entrees.